Scholarship provides private lessons to selected 9th grade band and orchestra students who have not yet had the opportunity for private study. Students in the Private Lesson Program are given the opportunity for lessons with a specialist on their instruments -- their first exposure to private music instruction. Through this program, students also participate in a workshop on Audition and Recital Preparation. As a culminating experience to the program, there is a year-end recital showcasing each participant in a solo performance before a live audience. 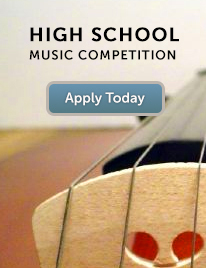 Civic Music will host another exciting awards competition and scholarships for high school students. 10th through 12th grade musicians who are performing at the WSMA Class A level are eligible to apply. The Saturday workshops and master classes are open to all students, with a $5 fee for non-applicants. 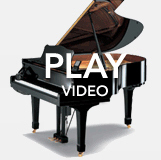 Sunday's recital is at the Steinway Piano Gallery of Milwaukee and is free and open to the public. Winners of the Young Artist scholarships will be announced after the High School Showcase Recital on Sunday. Offers cash scholarships to high school vocalists and instrumentalists who are selected during the High School Music Competition. $2,000 in total scholarships awarded. The high school showcase recital award offers outstanding high school musicians a recital opportunity and cash award. $250 award and recital opportunity to each winner. 6-8 awards are typically granted. Workshop for high school students invites participants and their parents to attend the 45-minute workshop facilitated by Mark Davis, pianist and Chair of the Jazz Institute at the Wisconsin Conservatory of Music. The workshop is offered as part of the High School Music Competition. Workshop for high school students invites participants and their parents to attend the 2-hour workshop facilitated by Scott Stewart, Chorus Master Florentine Opera Company. The workshop is offered as part of the High School Music Competition.